Ron Rael, author of 13 ½ Strategic Ways of Winning the Budgeting Wars, once said that, “To achieve success in anything, you need two ingredients: a target to aim for and a way to measure your progress towards it.” Budgeting is all about achieving success in business. When you improve the budget process, you are able to foster both empowerment and accountability. Eventually, it will lead to a better company. Although initiating change in your budgeting process will be challenging, it will further demonstrate your financial leadership. The reason why you may have not seen much success come from your budget is because of the following common budgeting problems. First, the goals that are established before the budget is created are either too easy to reach or are simply unachievable. If you know your economics, then you can avoid potential unrealistic goals or assumptions. Click here to download the Know Your Economics Worksheet to shape your economics to result in profit. Then the budget is built on faulty or unrealistic assumptions. If the assumptions are correct, then maybe not everyone agrees on the assumptions or principles. This disagreement of what to build the budget on results in a dysfunctional team. After the budget is built, there is often little to no feedback from management about the budget. We have seen this time and time again in companies. Those not involved in the budgeting process simply don’t care about the budget. They think that because they are not the CFO or Controller, it’s not their job. But everyone in an organization should care about the budget. Additionally, when the budget is completed (usually after weeks of non-stop focus), it is filed away. It is rarely taken out and use in the daily strategy of the company. There is a lack of follow up. When leadership has to meet with shareholders, stakeholders, etc. regarding the budget, they realize that they haven’t used the budget at all. Then they go to any means to achieve their budget. This manipulation defeats the purpose of having a budget. We suggest to design a budget that cannot be manipulated. If you are thinking that the most common budgeting problems are more like cultural issues, then you’re correct! Everything we have already said concerns the entire company. But the majority of our audience consist of CFOs and Controllers. The two problems that impact CFOs, Controllers, and budget directors the most include hidden agendas executives may have, the lack of commitment from executives for having a budget, and executives seen budgets as the CFO’s job. 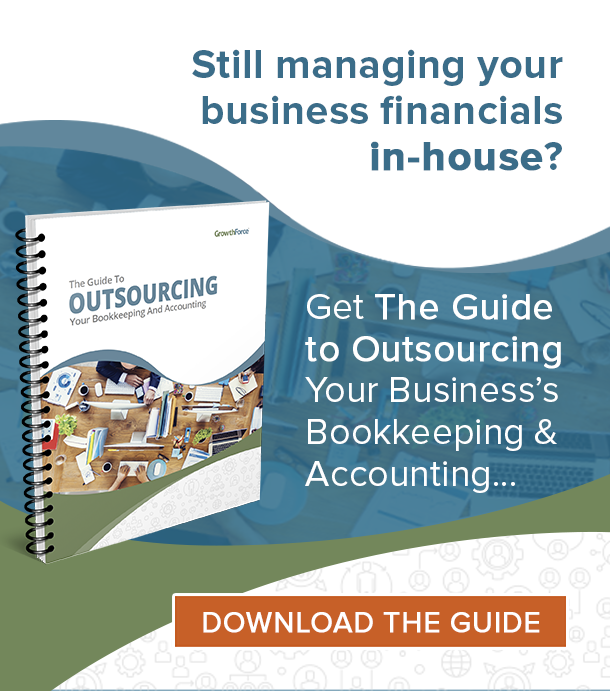 The responsibility of the budget is not solely reliant on the accounting department or CFO. Budgeting successfully requires you to transform how you think about budgeting overall. If you want to budget successfully, then you need to use your budget as a tool for decision making. It is not some disconnected document that has little to do with the company’s actual business. Instead, it should be a living and breathing part of your decision making. Plus, it is more effective when you use it to make decisions. When people ignore it or play games with it, your budget becomes ineffective. Additionally, understanding the need to improve the quality of decision making and making it happen are two different animals. What you get all depends on the leaders’ commitment and attitude. Budgeting is a very important management tool for achieving lasting success. A budget should establish the discipline to set up a plan. But you must also adhere to the plan. Furthermore, this management tool always you to measure your progress, and ultimately, your success. We said it earlier, and we’re saying it again because it’s that important. Most budgeting issues are a result of an organization’s culture. Issues that lead to a poor quality budget process mean that these problems already exist within the organization ALL THE TIME! In addition, there are other costs associated with budgeting that could impact the bottom line. If employees are not conserving costs and making the most of opportunities, the bottom line will suffer. If leaders are not investing in their tangible and intangible assets equally while employing them to their fullest potential, the future bottom line will suffer. The budget and the plan it drives from is only effective when it leads to specific actionable and measurable activities and generate stakeholder value. Therefore, a budget must require specificity. Also, your assumptions drive everything. Therefore, it is crucial that everyone be on the same page regarding assumptions in relation to decisions on what is important in your budget. When your leadership team establishes governance in your organization, they are deciding how to best use all their resources to accomplish the purpose or mission. Use the following governance principles in your budgeting process. A reality based budget and planning system that enhances accountability is necessary for the good governance because it increases transparency. Furthermore, the key factor in a realistic and honest budget is people and their accountability. A well conceived and thoughtful budget improves the governance demanded by all stakeholders. In addition, the budget is a reflection of the importance that your executives place on governance and ethical conduct. Every game played with the budget is actually a breach of the organizations Code of Ethics. 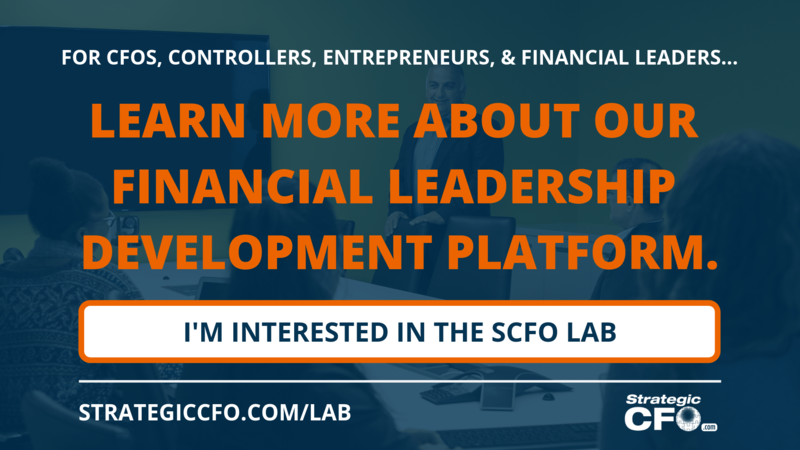 The CFO is essentially the CEO’s cheerleader! 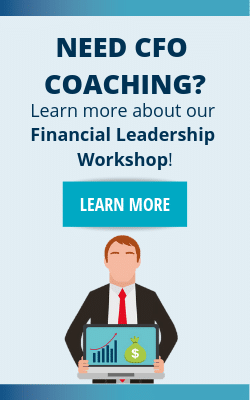 The CFO inspires higher level of performance. The greatest challenge is to ensure that the strategic objectives and operational plans are adequate and inspirational enough to achieve the leaders’ desired financial objectives. The leader’s three plans, when combined into a cohesive strategy, will generally lead to success; however you define it. 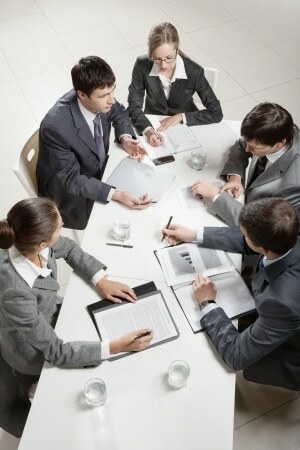 Furthermore, the CFO and executive team are the guardians of all assets – physical, financial and human ones. Use these assets to implement the plan and achieve the goals! Having the discipline to build a healthy budget, and having the budget instill discipline across your firm has many benefits. Not only will your budget properly serve as a management tool, but the benefits of discipline will filter over to other areas of your operation which will lead to efficiency and profitability. The next step in achieving success through your budgeting is knowing your financials or economics. 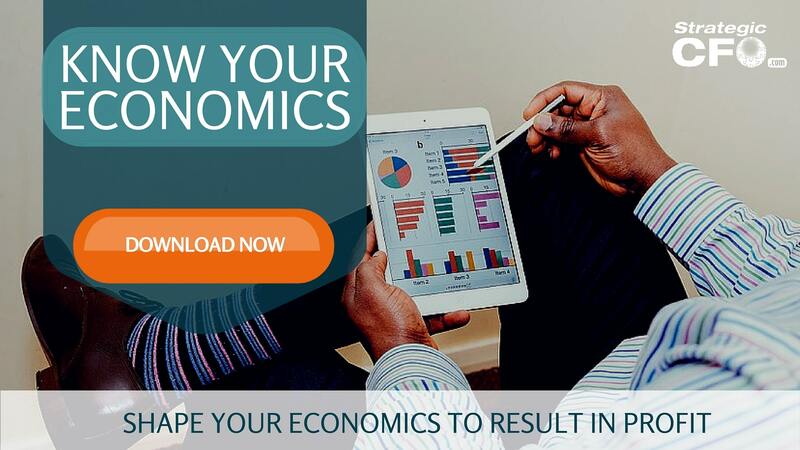 If you want to shape your economics to result in profit, then click here to download the Know Your Economics Worksheet. Budgeting is a powerful tool and often not used well. The first few paragraphs of this article say it all, very insightful! 1. Assumptions that prove unrealistic as you progress through the financial year cannot always be avoided. Build your budget by layering initiatives and scenarios, so that you can remove portions and still have a valid budget! 3. Set up reviews throughout the year ahead of time! These meetings should be set in stone and attended by highest level management; ideally your company simply kicks off your business segment reviews (which happen anyway) with a budget update. 4. Most GMs see budgets as an accountability tool, something they must endure. But empowerment is as important and an often-overlooked and powerful management tool that results from a great budget process. We were able to create stronger business leaders and relieve the CEO of tactical items that can and should be decided at a lower management level.